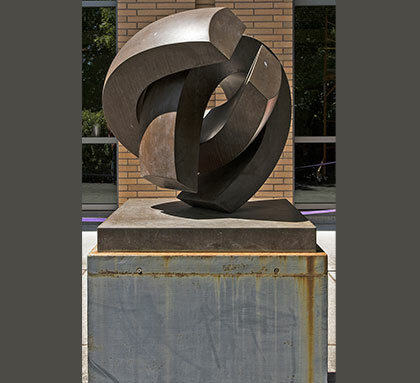 Both the bronze sculptue and painted steel base were degraded and in need of conservation. 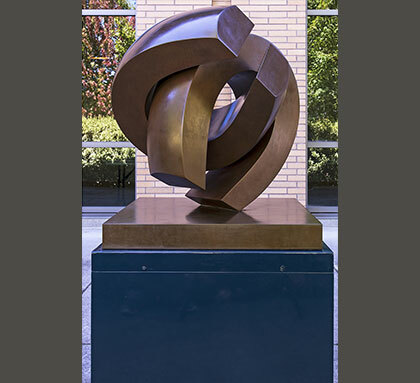 The bronze sculpture was cleaned and hot waxed with a custom mix of highly durable wax. The base was given a new coat of high quality automotive paint expected to maintain its integrity for 20 years.